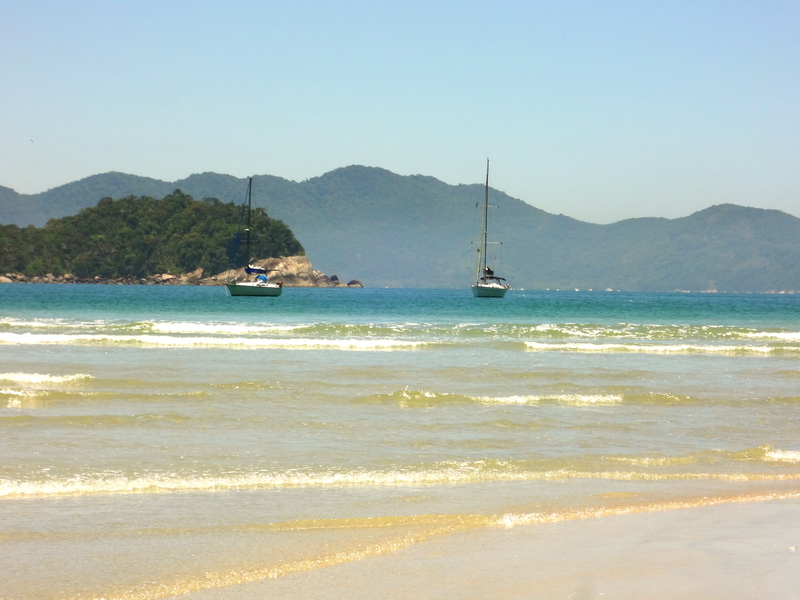 There are so many beautiful beaches on Ilha Grande, that you almost don’t know where to begin. As there are no cars on the island, many are accessible by foot only. 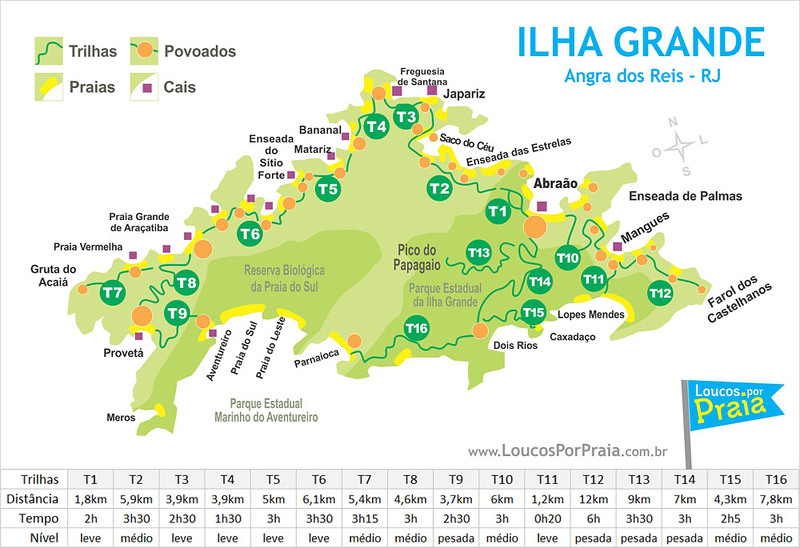 Such is the case for Dois Rios (Two Rivers), which we reached by taking trail T14, roughy 14Km roundtrip from Abraao. I was a little apprehensive about the hike at first, as some of the trails are quite rigorous, and it was close to 100 F, but it turned out to be relatively easy. The trail had a constant, yet moderate, incline to the peak elevation, and then a similar decline all the way down to the beach. 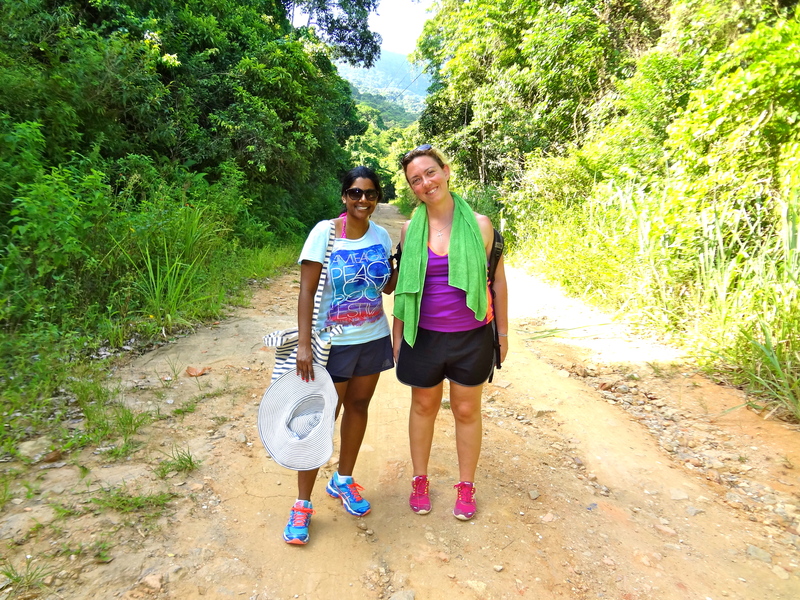 Don’t get me wrong; by the time we reached the end of the trail, our clothes were thoroughly drenched in sweat and we were hot and thirsty. Luckily we were able to stop in at the best bar in town. Ok, so it was the only bar in town, but I was very thankful it was there! I rarely drink soda, but I treated myself to a Fanta (don’t ya wanna), in addition to the biggest bottle of water they had. The hottest bar in town… you gotta know a guy and be on the list! 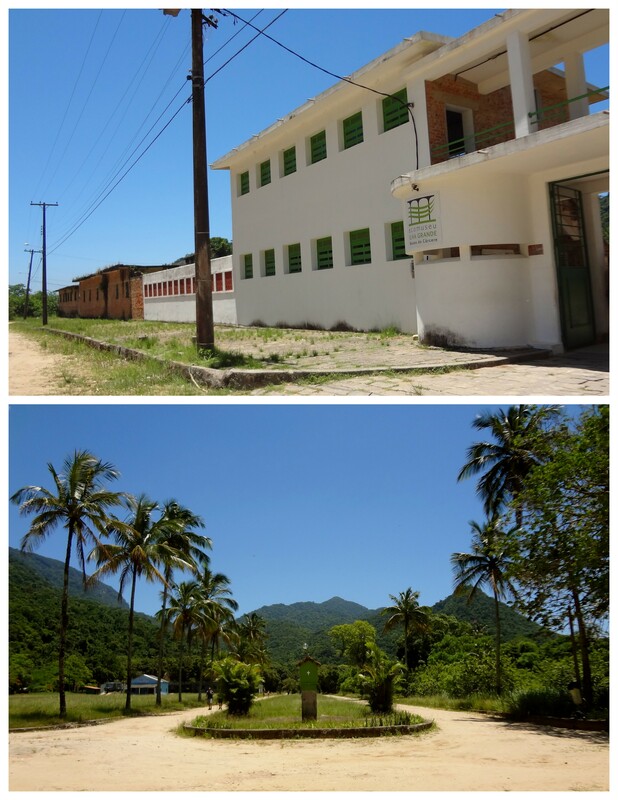 Just down the road is the old prison, part of a penal colony started in 1903. It’s pretty depressing if you think about it… being incarcerated steps from a gorgeous beach which you aren’t able to enjoy (if not see) at all. The prison was in operation until 1994, when it was demolished by the government, and following this, the island was opened for tourism. Much of the island is conserved as a state park, so construction and development are fairly restricted, preserving the natural beauty of the island. Natural beauty such as this! 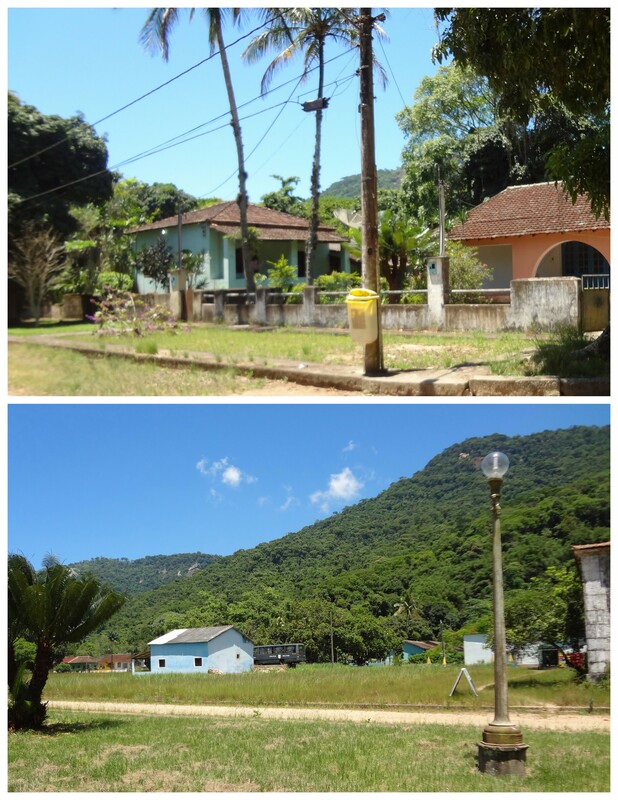 Now, there’s a bit of a debate as to which is the better beach, Dois Rios, or its more famous neighbor, Lopes Mendes. However, nearly every person we spoke with agreed that Dois Rios was much better, less crowded, and cleaner. I think this is largely because speed boat operators have started taking more and more people to Lopes Mendes (cheaters! 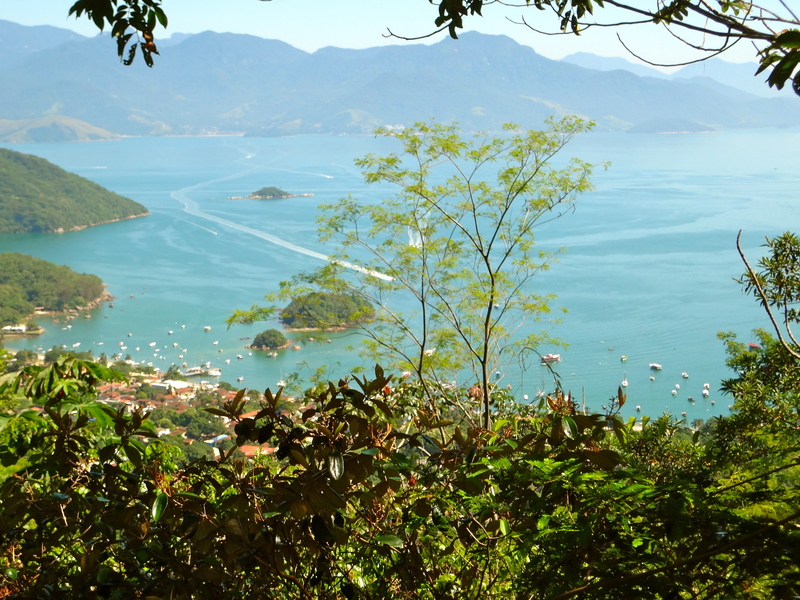 ), whereas it’s not really an option for Dois Rios (though we did see a few people arrive by boat). Even during peak season, there were only a smattering of people on the beach. 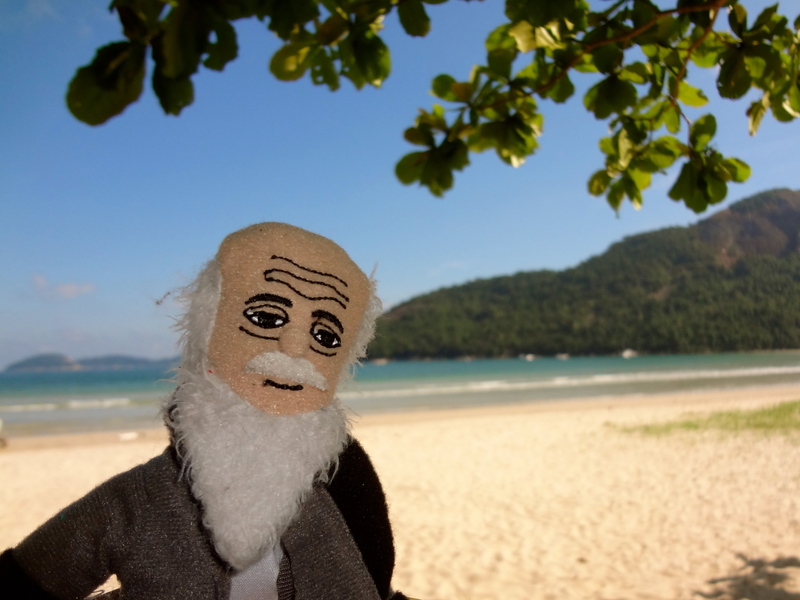 Charles Darwin is very modest and didn’t want you to see him in his swimmies! 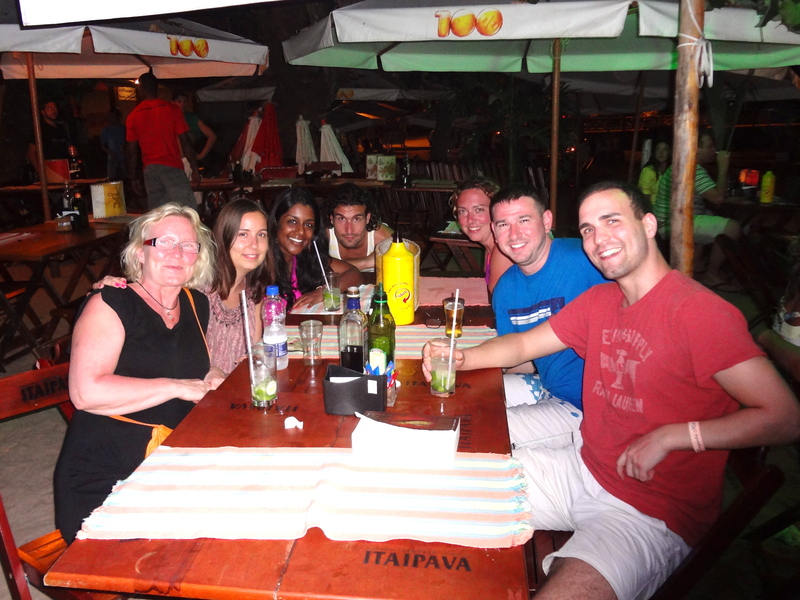 While walking down the beach to check out the other side, we ran into a few guys I had spoken with earlier that morning at the hostel – Kyle (from the US), and Laco and Kim (from Sweden) . 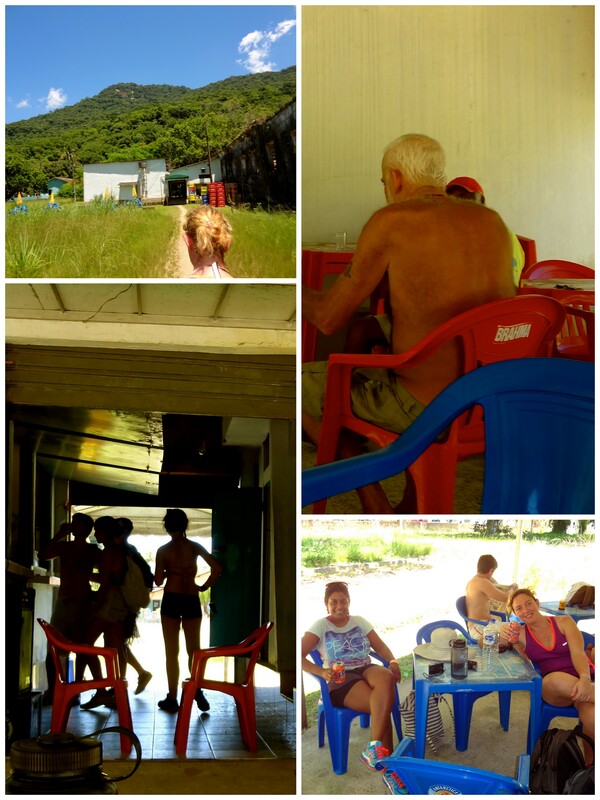 That morning they had mentioned that they were hiking to Dois Rios as well, but left a few hrs after us. After exploring the other side of the beach, and having a decadent lunch consisting of a Cliff Bar (ha), Ryan, Eliza, and I decided to make our way back to town. 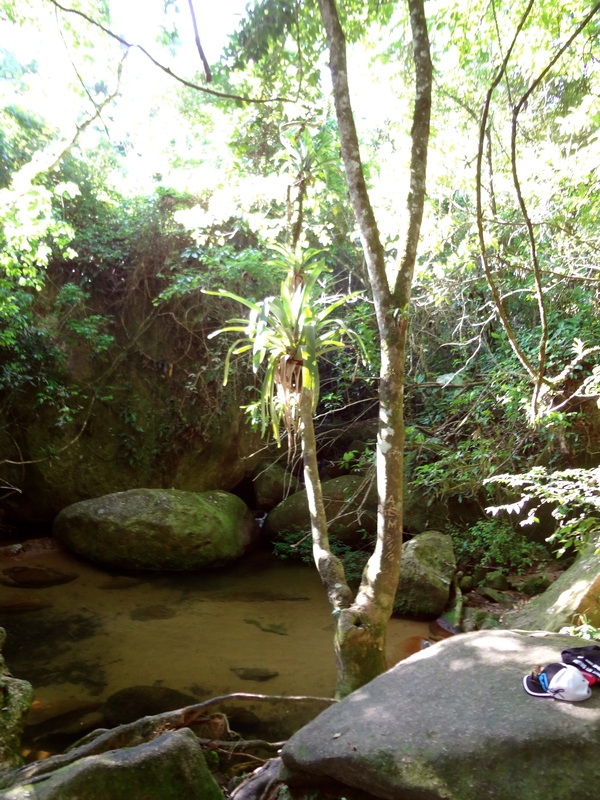 We stopped for a quick dip in Soldier’s Pool. It was pretty cool to go swimming in a random pool in the woods! The brightest workout gear ever… can’t lose us in the jungle! 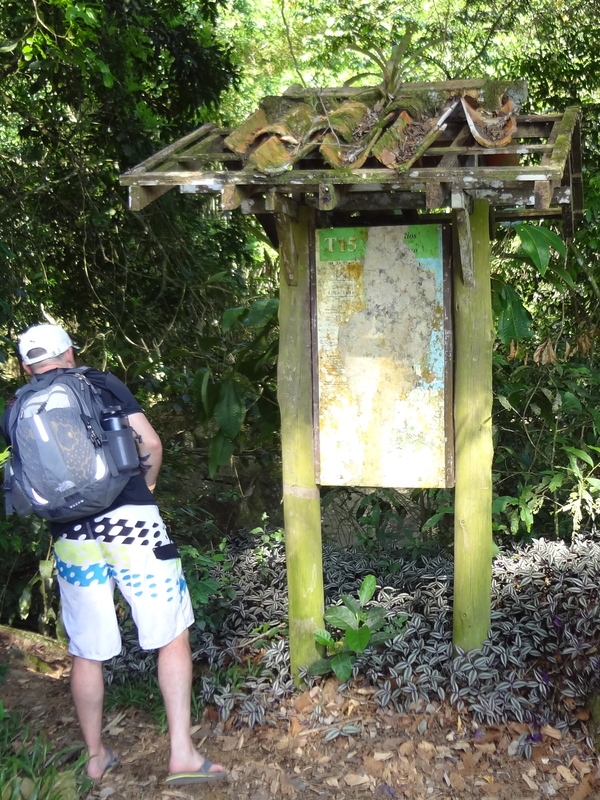 Just after the pool, Ryan decided to take the “scenic route” back, whereas Elisa and I opted to continue on the same trail. But for some reason, the walk back seemed to take much longer than the way there! Maybe it was because it really was “uphill both ways” and we had spent all day in the sun. Or maybe because 5 hours of staring at the same trees just gets old! 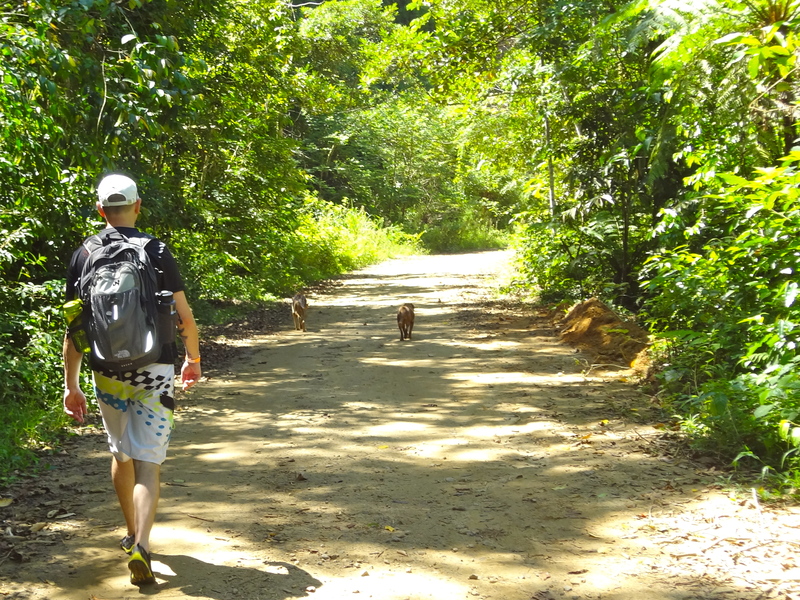 Every time we thought we just had to be close to the bottom of the trail, it just kept going; if it weren’t for the fact that there was only one trail, we would have sworn that we had made a wrong turn. And then there were the howler monkeys which sound like a cross between a pack of mountain lions and the smoke monster from Lost. Yet another reason why I was glad to have a buddy to walk with! Upon making our way back to the hostel, we were surprised to see that all four guys had beaten us there! Apparently the “scenic route” was more intense, but shorter, and the other guys had left before us. 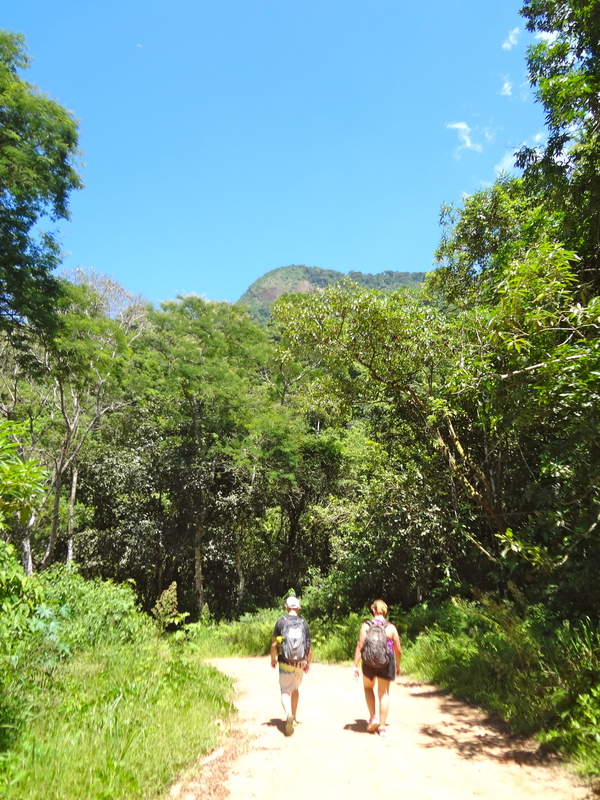 In any case, it felt like a huge accomplishment to walk to Dois Rios and back. 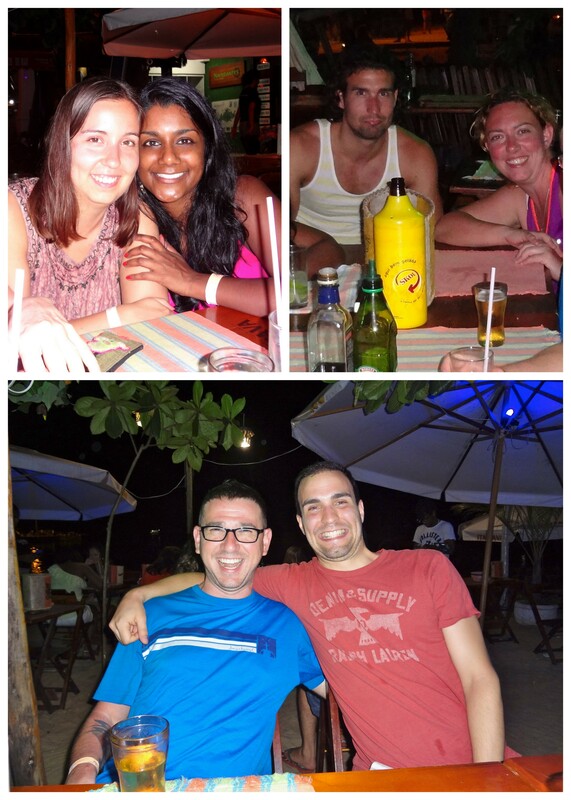 So after a quick dinner at the hostel buffet and a much-needed shower, we all met up for caipirinhas on the beach. Fun day!